The most savage knockout of the year is now open for vote by the Boxing News and Views readers. Knockouts, there’s just something people love about them. Perhaps it’s a primal instinct in all of us humans. Something we can’t deny, after all, fighting is in our DNA since the start of time. On that note, here’s our shortlist for the 2017 knockout of the year award across world boxing. To vote simply scroll to the end of this article. Voting will remain open until December 29th with a winner announced on December 30th, 2017. It was meant to be a potential crowning of a new star in world boxing, but it proved a step up too quickly for Lubin. 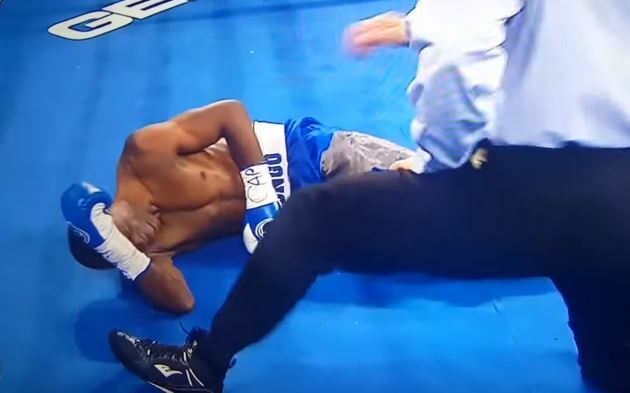 The Floridian never got a chance to get going as the sensational Charlo landed a devastating right uppercut that Lubin and everyone didn’t see coming. The upper-hook left Lubin’s body and mind on two very different wavelengths. Lemieux’s year ended in a one-sided beating, but he proved just what he can do when he does manage to land on his opponent’s chin. Stevens found out the hard way in a short fire-fight. Lemieux crushed Stevens with a monstrous left hook leaving his man out cold. Crawford became the first fully unified champion since Bernard Hopkins when he punished the exceptional Indongo with a brutal body shot. Crawford was expected to be in for his toughest test, but looked levels above and left Indongo unable to muster enough air to raise himself from the canvas. Vazquez was set up to thrill fans once again when he was matched with the ageing Collazo. But the veteran produced a stunning knockout with a picture perfect right cross in a thrilling 5 round fight. Dubois has thrilled fans on BT sport all year with sensational power, but no fighter took a more flush shot that AJ Carter. The short Carter was only just rising from the canvas when a polarizing right hand left him face first on the canvas. Aleem was fresh of a shock victory over Khytrov before he was wiped out by a long left hook from Centeno Jr. Both fighters fought wildly from mid-range, but the left hand of Centeno Jr left Aleem out on his back.